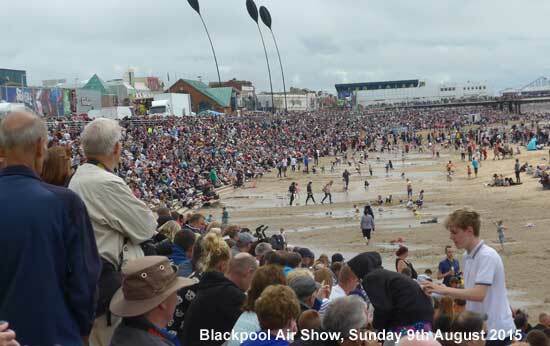 The Blackpool Air Show 2015. 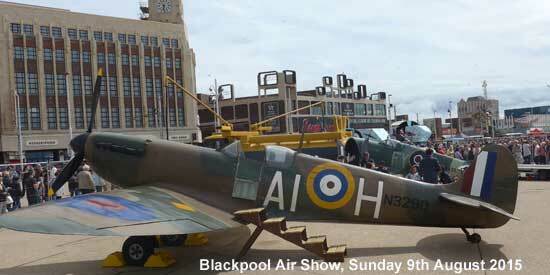 A line up of powerful jets, incredible aerobatic displays, historic aircraft, helicopters, parachutists. 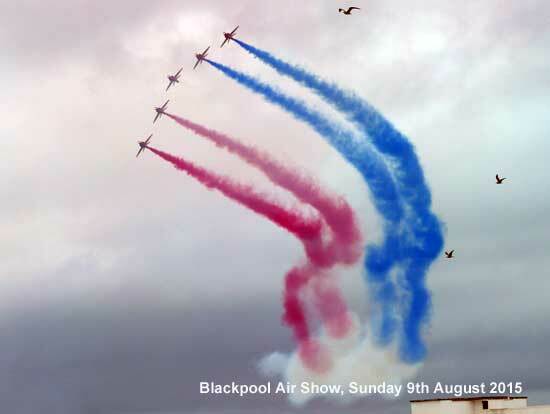 What an advert for the RAF with the Red Arrows, Typhoon and Chinook display teams. 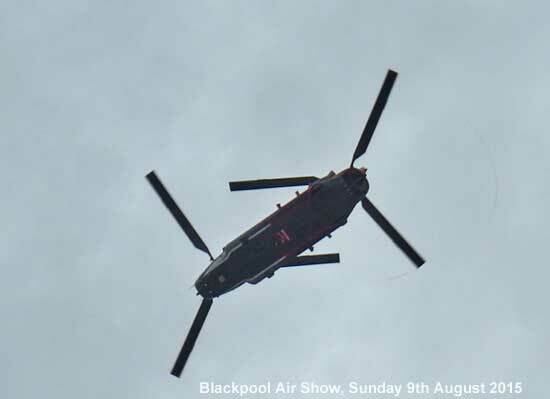 Most surprising was the Chinook which did things no helicopter of that size should do. Opening with the Typhoon, totally terrific. 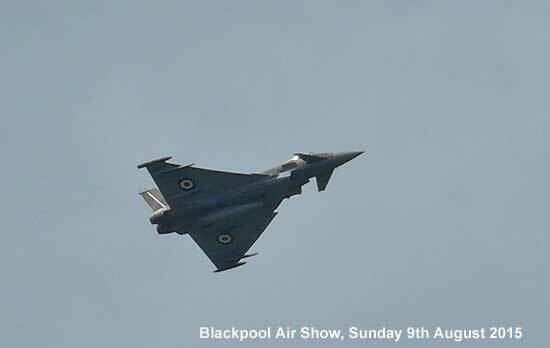 The free seafront show centred on the Tower Headland, was on Sunday 9 and Monday 10 August at 1.30pm. 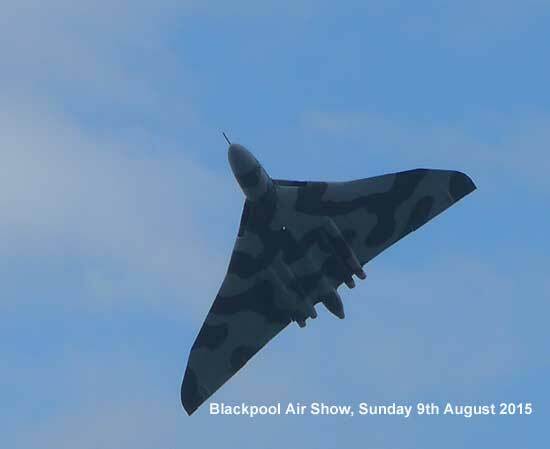 The Vulcan in its last flying season. The last year of flying. What an aircraft! 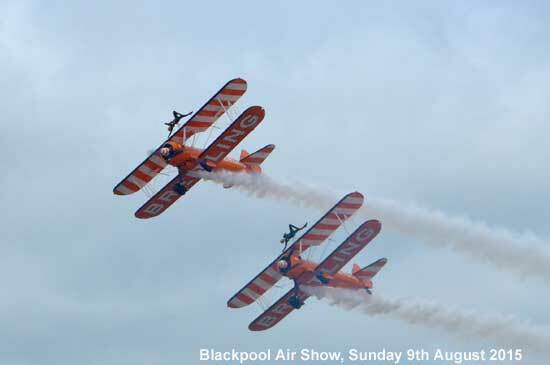 The Breitling Wing Walkers, you have to love this display. The tide was out and the prom was still packed. 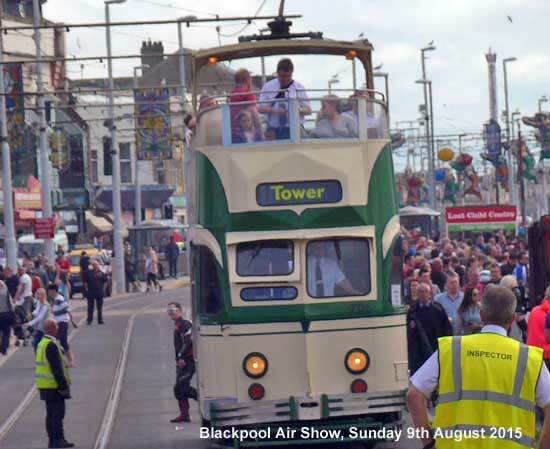 Princess Alice tram was on Heritage Tram duty. Two World War 2 fighters with an opportunity to sit in the cockpit. 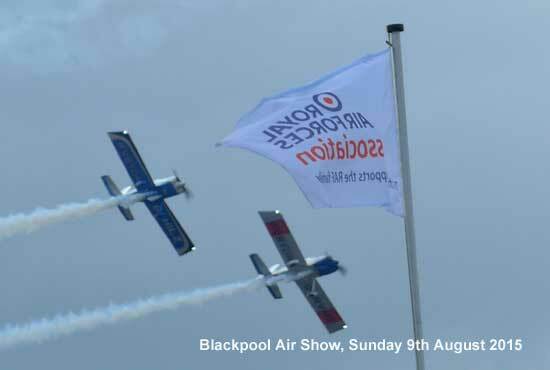 The RV8Tors in their kit planes gave an impressive display. The beach was full with a safety line kept around 100yds offshore and up to the piers. 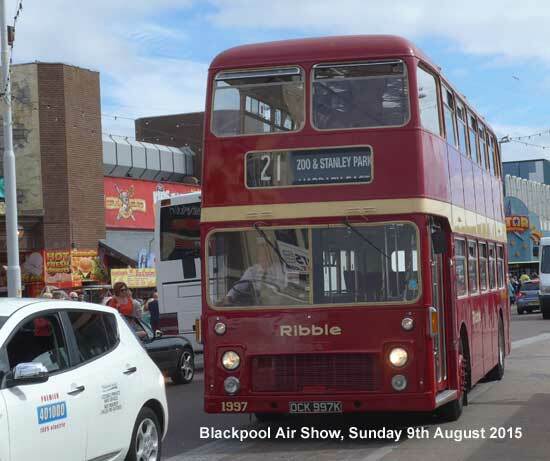 A Ribble bus and the old Bolton tram. 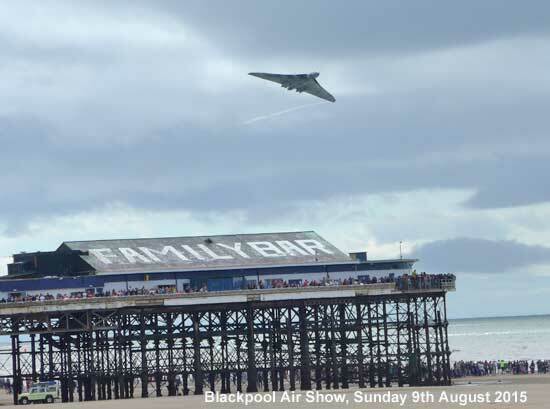 Vulcan over Blackpool Central Pier. Princess Alice open topped double decker. 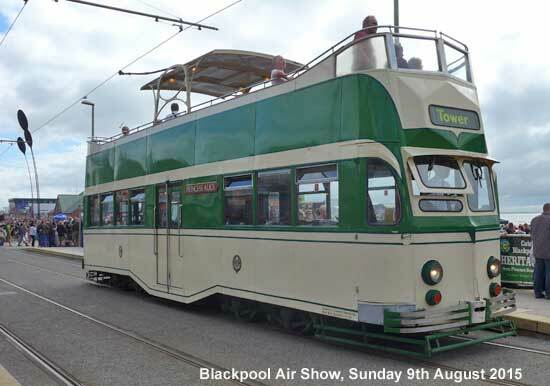 Probably the best tram of the lot. 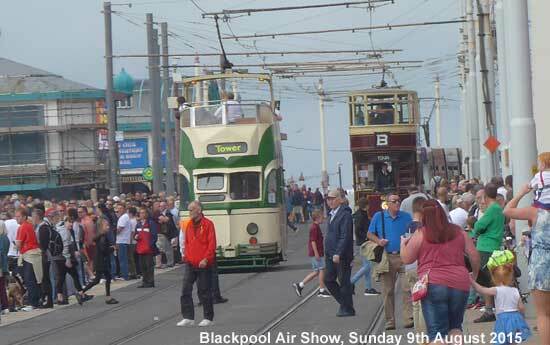 Princess Alice and Bolton 66 at North Pier. 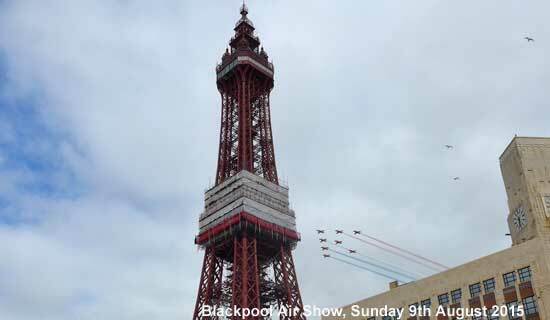 The Red Arrows always arrive next to the Tower, some great photos around, not least on the Red Arrows Facebook page. 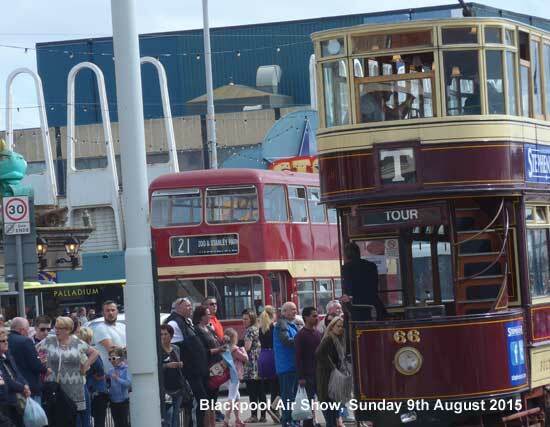 The Ribble Bus on service 21 Promenade to the Zoo route. Note the all electric taxi in front.